Science has Proven the Existence of Systemic Candida - YeastInfection.Org by Eric Bakker N.D. While gastrointestinal candidiasis has long been acknowledged as a fact, systemic candidiasis has been a subject of controversy for more than thirty years, particularly since most of the books on candida have been launched in the early to mid eighties. 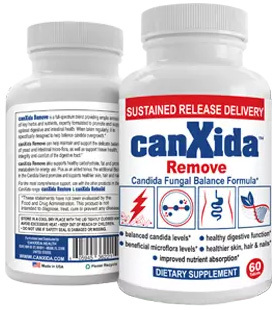 Candida albicans has only been considered a serious organism by the medical profession in those who are severely immune compromised, such as leukemia patients, those with AIDS, people undergoing chemotherapy, radiation or those being treated with immune-suppressive drugs. In particular, ever since Dr. Orion Truss published his book “The Missing Diagnosis” in 1983, followed by Dr. William Crook’s book “The Yeast Connection” in 1984, a controversy has raged in both the scientific circles and the media regarding the ability of gastrointestinal candidiasis to cause systemic yeast infection. Interestingly, a *study was published in 1969 in Lancet, the prestigious medical journal, which demonstrated that candida albicans is perfectly capable of escaping from a human being’s gastrointestinal tract and trans-locating into the person’s bloodstream within literally hours. The researcher, W. Krause, was first tested and examined to the satisfaction of his medical peers to exclude any digestive, immune, and respiratory or kidney diseases and had not used any antibiotics in the previous ten years. He was thoroughly tested to eliminate any possibility that had any pre-existing yeast infection. He then ingested a significantly large dose of candida albicans orally (1012). That is an incredible 10,000,000,000,000 candida albicans organisms! Within two hours of swallowing candida albicans, he developed a fever, a headache and was shivering. Incredibly, candida albicans was cultured from a blood sample taken at 3 and 6 hours after ingestion. Candida was also cultured from urine samples taken from the same person at 2 ¾ and 3 ¼ hours after the ingestion of candida. This study, although performed in 1969, clearly demonstrates that gastrointestinal candidiasis can shift from the digestive system into the bloodstream in a non immune-compromised host. *Krause W, Matheis H, Wulf K, Fungaemia and funguria after oral administration of Candida albicans, Lancet 1969; 1:598 -599. These and many more underlying factors can transform candida, which is commonly found but kept under control by beneficial bacteria, from its docile state into that of a predator. Some of the most common risk factors associated with Western medicine include ulcer medications, corticosteroids, immune-suppressive drugs, intravenous drugs, prolonged hospital stays, broad spectrum antibiotics, diabetes, intravascular catheters, and oral contraception. Can Amoxicillin Cause Yeast Infections? Candida Yeast Infections are More Prevalent than Ever – Why? While science has proven the existence of systemic Candida, there are still plenty of doctors who don’t believe it can chronically impact the lives of the masses. They’re generally only willing to recognize a problem in those who have been impacted by HIV, AIDS, chemotherapy, and other life-threatening immune conditions. It’s important for you to do your own homework and ask the right questions, no matter what type of doctor you see.